More and more businesses are encouraging their employees to get involved in the community. A CR Magazine and NYSE-Euronext Survey of over 300 companies found that 72% of respondents have corporate responsibility programs and that 77% say these programs will expand over the next three years. Businesses see corporate community involvement as an avenue for brand loyalty, employee engagement, and an opportunity to be viewed as good corporate citizen. BVU has seen this trend translate into an increase in corporate volunteer team projects in Northeast Ohio. 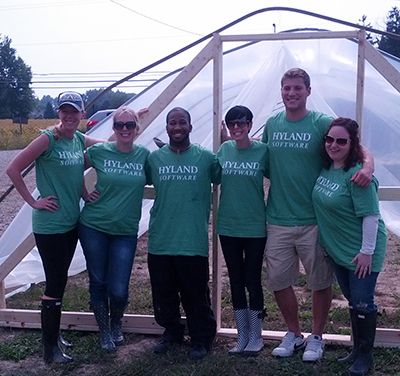 In 2013, BVU business members completed almost 300 business team volunteer projects, a 28% increase from 2012. A group project brings together a group of business volunteers to focus their combined energy, skills and talents to address a need in the community. Benefits for businesses and nonprofits are plentiful. Planning is key to a successful team volunteer project. Our process varies, but here are a few components to help ensure that your project is a success for your team. Volunteers need to feel connected to the mission of a nonprofit and the clients they serve. Survey your employees. What are their interests? What is the best time to get the most participation? Where are your employees currently volunteering? Once you have an idea of how many employees will be participating and what their interests are, it’s time to plan your project. Understand that some nonprofits will have a difficult time hosting large numbers of volunteers, so consider dividing into smaller teams. Team building is sometimes better when small groups are given the opportunity to communicate and problem-solve together. Visit with the volunteer site location beforehand and fully understand the nonprofit’s need. Don’t be shy about pointing out other areas where you might be able to help. Details, details, details! To ensure the project’s success, carefully review and communicate details, from where to park to what to wear. Welcome volunteers and provide an introduction to your organization. Explain not only what your nonprofit does, but who you serve. In addition, whenever possible volunteers should have opportunities to connect with the clients being served. Engage clients in volunteering side-by-side with the volunteers. If clients are not present, show photos/videos and tell personal stories to allow volunteers to connect the task with the people who will benefit. Be clear on what is expected to be accomplished. Be available to volunteers to guide them and to answer questions. 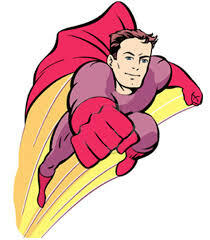 As project host, you are expected to keep the project moving smoothly and communicating the importance of the tasks at hand. If a room is being painted, to the volunteer it’s just painting, but you need to remind volunteers that the fresh, clean paint will be seen and enjoyed by all the clients who use the room. Conclude projects with a debrief. After the volunteers have completed their project, recap the day and allow volunteers to share their experiences. Everyone wants to be thanked – especially volunteers. Most businesses are not looking for a plaque. A simple verbal thank you at the end of a volunteer project can go a long way. As follow-up, personalized thank you emails and notes from the consumers create an amazing personal touch. Share photographs and thank volunteer groups on social media. Here is a full list from Realized Worth on additional ways to say thank you. According to Lisa Jackman, Community Engagement Manager, Onbase (by Hyland), says, that “by encouraging our employees to use their time and talents to offer help and effect change, Onbase’s efforts are much more impactful and meaningful for both the organizations we serve and our employees. Not only does this allow our projects to have a greater impact, it also allows employees to feel a great sense of accomplishment and fulfillment, inspiring them to give more – a win-win for both the nonprofit and the local community. Businesses are measuring the impact of volunteer projects for its employees with factors such as employee satisfaction and engagement, skill development, and sales, recruiting and stakeholder effects. How can you measure the impact of your project? Start with the outputs and report the number of volunteers and volunteer hours. But go beyond and address what was accomplished during the project. Equate the number of volunteer hours to a dollar value. The Independent Sector value of a volunteer hour can assist you in doing this. While you were helping the nonprofit, did you have suggestions for increasing efficiency? Is there a way for the nonprofit to use fewer resources – such as man hours or materials – in delivering its services? Did helping the nonprofit increase their effectiveness and success rate of the services it provides? e.g., for a nonprofit fighting homelessness, the percentage of homeless people served that ended up sustainably housed. Did you help increase reach? Did you expand the capacity of the nonprofit to serve more clients or expand programming? What if your project wasn’t a success? Don’t give up! It takes time for us to fully understand the needs of nonprofits and our business members in order to make the perfect match. Take what you learned from this experience and apply it to make the next project a SUCCESS. This entry was posted in Corporate Community Involvement, Nonprofit Management, Volunteerism and tagged benefits of volunteering, business volunteers, corporate volunteers, csr, group project, nonprofit, team projects, volunteer, volunteerism on April 23, 2014 by BVU: The Center for Nonprofit Excellence. Another Good Reason to Volunteer (and Encourage Your Employees to Volunteer)! At BVU, we also hear about these benefits first-hand from businesses in Northeast Ohio that encourage their employees to volunteer in our community. “We believe that community involvement helps ‘round out’ our people, gives them early leadership experiences, and shows our clients that we share and support their efforts to improve life in Greater Cleveland,” says Chris Kelly, Partner-in Charge, Jones Day. So, what are you waiting for? Get a group of co-workers together to volunteer for a few hours this summer – maybe outside working at an urban garden – or bring a volunteer project on-site this fall. You could also plan for a half day of volunteering after a morning office retreat – a great way to promote team building. Don’t know where to start? Contact BVU today – we work with over 100 businesses – both large and small – that encourage their employees to volunteer as nonprofit board and committee members, as pro bono skills-based consultants and as hands on volunteers in our community. We can help you find the perfect way to give back to the community, while keeping yourself healthy and your company strong! This entry was posted in Corporate Community Involvement, Volunteerism and tagged akron, benefits of volunteering, Business, Cleveland, northeast ohio, team building, volunteer, volunteerism on August 21, 2013 by BVU: The Center for Nonprofit Excellence. There is an old saying that goes, “it’s not what you know, but who you know.” In today’s job market this saying holds true. 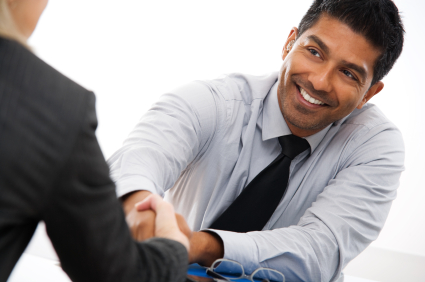 Networking is essential to not only finding a job, but for career advancement. Volunteering is an excellent opportunity to network with other professionals in your field. By volunteering you will have the opportunity to network with people you might not have met otherwise. When you expand your network to include a nonprofit, the potential to find a mentor that helps you grow as a professional, or meeting a chief executive that offers you a chance at a fantastic new career grows exponentially. There are many opportunities for networking while volunteering. Charity events and fundraisers are perfect for meeting other professionals who share a passion for the same cause as you. Offer your services to a nonprofit as a consultant and show off your skill set. Serve on a board of a nonprofit and use your common enthusiasm for that cause to start a relationship with other board members. Take the first step towards personal development and start volunteering today. Not only will you get the personal satisfaction of helping a good cause, but you will have a multitude of opportunities to network with other professionals. 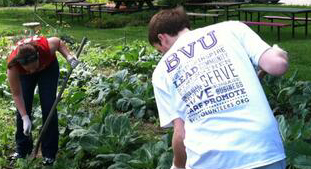 If you’re interested in volunteering, but don’t know where to look, contact BVU: The Center for Nonprofit Excellence. We would be happy to help you find the perfect volunteer opportunity. This entry was posted in Corporate Community Involvement, Leadership, Volunteerism and tagged job search, networking, professional development, volunteer, volunteerism on March 4, 2013 by BVU: The Center for Nonprofit Excellence.